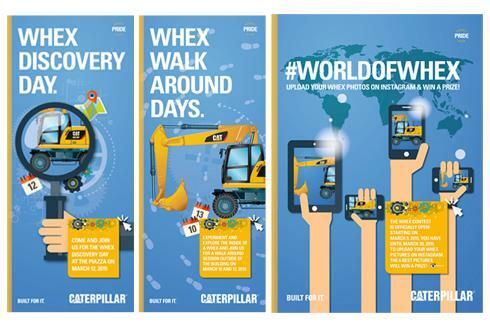 To better introduce staff at their European Headquarters, Caterpillar asked Centigrade to help with the arrangements of a series of show-and-tell events at their offices in Geneva. These events featured actual machines so that staff could experience them first-hand. 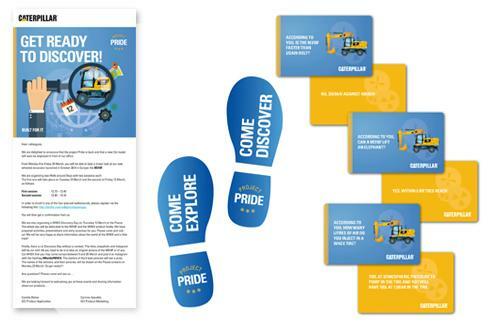 Aimed at helping instill a greater understanding and sense of pride in the machines at the heart of the company, Centigrade produced a series of colourful and fun materials to announce and promote the event and also to educate the staff on the key features and interesting facts about the machines that they were seeing live.